1st Row: A. McHardy; P. Allen; G. Gordon; S. Singleton; M. Sherwin, Sen. Mistress; Cdr. G.D. Stubbs, Headmaster; Lt. Cdr. D. Neild, Dep. Headmaster; Lt. Cdr. A. Richards; W. Lewington; T. Ricketts. 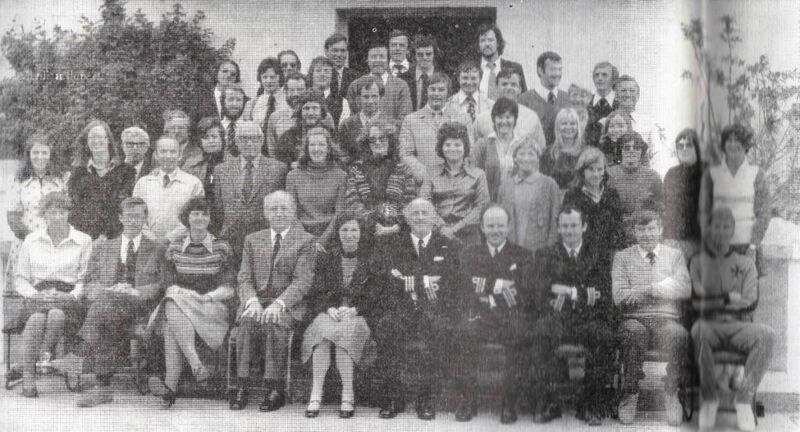 2nd Row: A. Nelson; N. Ash; Mr. Pawley; M. Caseley; Mr. Bezzina; J. Rae; L. Curtis; D. Gray; S. Beckett; I. Dickinson; M. Spray; H. Wilson; M. Loughran. 3rd Row: Mr. Aquilina; S. Camilleri; B. Charnley; K. Patterson; L. Shone; D. McGrath. 4th Row: H. Ritchie; J. Hughes; I. Kesketh; G. Davey; A. Latham; M. Turner; C. Laing. 5th Row: J. Slide; B. Whewell;K. Winn; L. Finnis; M. Holland; P. Goss. 6th Row: F. Kitson; B. Leonard; B. Woollanas; J. Bonner; D. Walker; C. Christmas.